Hanuman as we all know is one of the most popular gods in Hinduism and obviously the most important personalities in Ramayana. 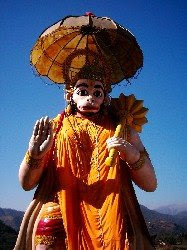 Hanuman is worshipped along with other gods in literally every festival In India. Naukuchiatal has gone a step ahead and dedicated a huge temple to Hanuman. 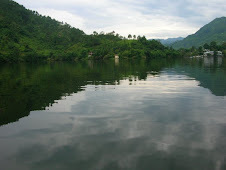 Once you cross the sacred Bhimtal Lake, you are greeted by a huge tower of Hanuman that you cannot miss. The statue is so colorful and huge, that you would like to visit this beautiful temple and take the blessings from "Pavan Putra Hanuman". Neem Karauli Baba of Kainchi is said to have laid the foundation of this temple long ago and then one of his disciples, Moni Ma fulfilled baba's dream a decade ago by contructing this temple. The temple is a must while you are in Naukuchiatal.